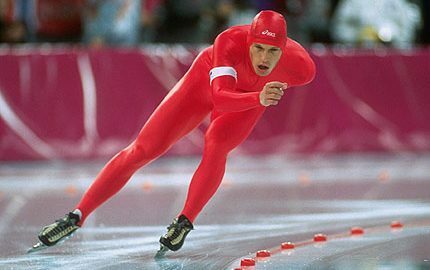 Johann Olav Koss, born October 29 1968 in Drammen, won three gold medals at 1994 Olympics in Lillehammer with world records in the 1,500m, 5,000m and 10,000m. This achievement brought speed skating to the interest of people all over the world. Sports Illustrated magazine named him “Sportsman of the Year”. His world records lasted until the introduction of the “clap skate”, which boosted speed skating results to new records.